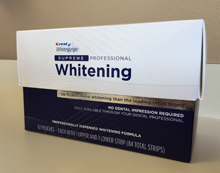 Safe and effective, tooth whitening penetrates stains and dramatically lightens teeth. Our whitening kits can help remove most tobacco, food, beverage and aging stains. Discoloration from medicine, injury or illness may not respond as well. Results vary from patient to patient.